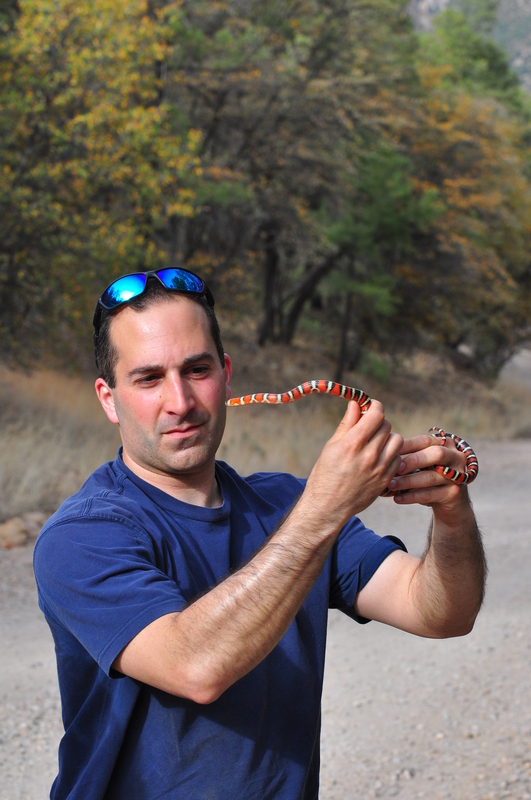 Dr. Mike Angiletta is a Professor in the School of Life Sciences at Arizona State University as well as the Assistant Director of Undergraduate Programs there. He is also a Senior Sustainability Scientist at the Global Institute of Sustainability. Mike received his PhD in Ecology and Evolutionary Biology from the University of Pennsylvania. He served as a faculty member at Indiana State University before accepting a position at ASU. Mike has received a number of awards and honors throughout his career, including the Marsh Book-of-the-Year Award from the British Ecological Society in 2010 and the Theodore Dreiser Distinguished Research Award from Indiana State University. Mike is with us today to tell us about his journey through life and science. Mike has established an international reputation as an evolutionary biologist who focuses on adaptation to changing environments. With funding from the National Science Foundation and the National Institute for Climate Change Research, he has produced 65 scientific articles and an award-winning book about evolution (Thermal Adaptation, Oxford University Press); collectively, these works have been cited more than 3500 times. Angilletta’s research has been featured not only in textbooks but also in mass media such as The New York Times, The Wall Street Journal, and Science News. Angilletta also has a passion for teaching biology at the introductory level, combining a love for thinking broadly with a flair for telling funny stories to create his own style of “edutainment”. At Arizona State University, he transformed traditional, passive lectures into interactive discussions of real experiments, supported by online videos that reveal his goofier side. Angilletta was recently nominated by students as ASU’s Funniest Professor, an honor that he cherishes more than his academic achievements.